So Bully was originally announced a year before it was released. Thinking about this, I would guess that Bully 2 wouldn't be announced until a year before release. In 2013, Dan Houser stated he wanted to work on a new game. A bully related trademark soon followed. While it's possible the game was the one with Stan Capton that was canceled, it's also possible that the game is still in development. Assuming the trademark was filed in 2013, it makes sense that it wouldn't be done yet, or even close enough to being done to announce. R* games tend to take a very long time to make, don't they? So it probably wouldn't be too unlikely to assume a 2017-18 announcement and 2018-19 release date? 2018 would be the most likely in my opinion, since it would be the ten year of scholarship, but then again, we kind of got screwed on this anniversary so I honestly don't know. What do you all think? Does 2018 seem like a reasonable date to speculate about or do you think if it was going to be done it would have been announced this year? Re: Bully 2 actually makes sense with this time frame. I think the trademark was filed so that nobody could use the words "Bully", "Canis Canem Edit" or "Bullworth Academy" in another game. 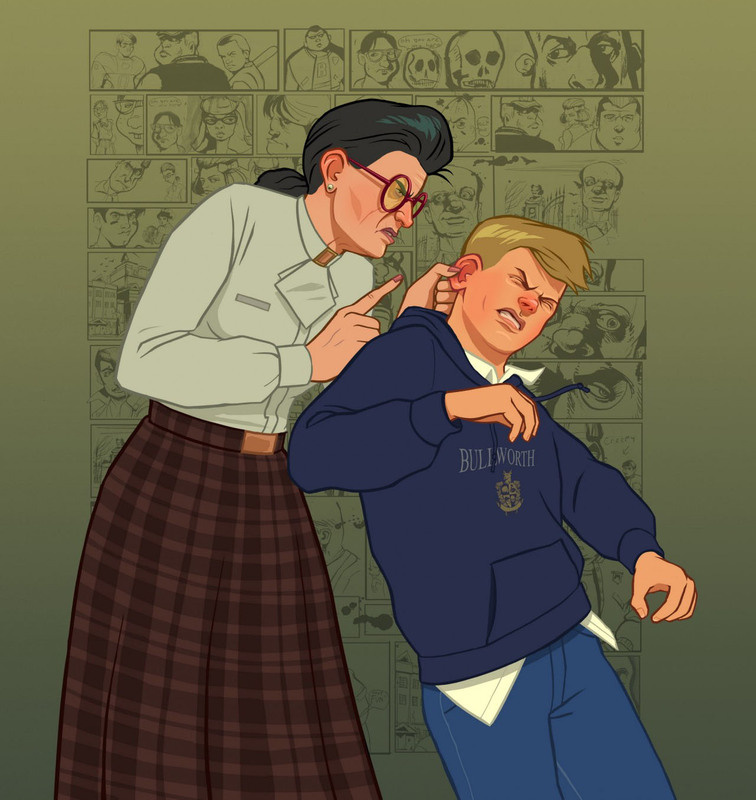 I mean, I wouldn't call it Bully: Bullworth Academy Canis Canem Edit, it's too long. Maybe they are indeed waiting for Scholarship Edition's 10th year anniversary.